The aim of this website is to be the most complete and comprehensive resource to all military aviation in the county of Lincolnshire, both past and present. With well over 200 pages of information contained within this site, you will find everything you need for your research or curiosity with regards to either a specific aircraft or airfield in Lincolnshire. Anything from the specifications of a certain aircraft to the runway lengths of a certain airfield, or even your nearest aviation related pub, you will find it all here. You will even find a list of all preserved airframes and wrecked airframes within Lincolnshire. In order to help compliment all the above information, we have the most comprehensive list of all military aircraft incidents within the county, anywhere on the internet. The logs date back as far as 1914 and stretch right up to present day. Contained within each entry you will find not only the aircraft type, date and incident location, but also known crew members and known details of the mission being flown. To round off all the information contained on this site, we have a directory of aviation groups/organisations within the county. Along with also listing of all known aviation related public houses and accommodation. We also have a comprehensive list of all military aviation memorials located in the county. We are also supporting the ‘Spotterwatch’ scheme, which is helping to promote good and safe viewing at all active airfields. Should you wish to join the scheme or just require more information about it, then please click on Links above and then BCAR Partners. 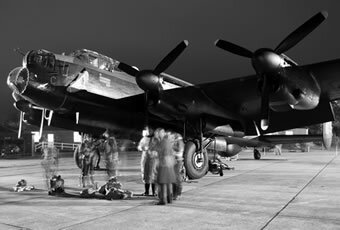 We are pleased to have now received the support and backing of Aviation Heritage Lincolnshire. The aim of AHL is to combine all of the aviation groups/organisation within Lincolnshire, and promote the proud aviation heritage of the county. Along with this, we are also pleased to have teamed up with the Lightning Association, who are responsible for the upkeep and running of XR724, which currently resides at the former RAF Binbrook airfield. To add to this we have joined forces with the Airfield Research Group (ARG) to further help promote the fine aviation heritage of Lincolnshire. We would like to remind you that new information is being added to the site all the time so please check the news section for all the latest updates. On behalf of the staff thank you for taking the time to look around our site.